This exciting podcast, hosted by our very own Director of Operations, will seek to stimulate invigorating commentary, and engage the community by tackling head on, all the important social issues that needs to be addressed but are often hidden and kept hush hush by Bahamian society. This podcast will unashamedly address these very vital issues in a very real way so that our audience can understand and actively participate. The lack of knowledge breeds fear and ignorance, so through this podcast we will try to educate, enrich and empower the masses. 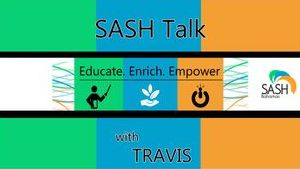 You can find our episodes on the official SASH Bahamas YouTube channel and on our SoundCloud page. If you would like to be featured on our podcast, or have an opinion or view you would like for us to talk about on the show, or even if you would like to sponsor one of our episodes, please feel free to contact us below.